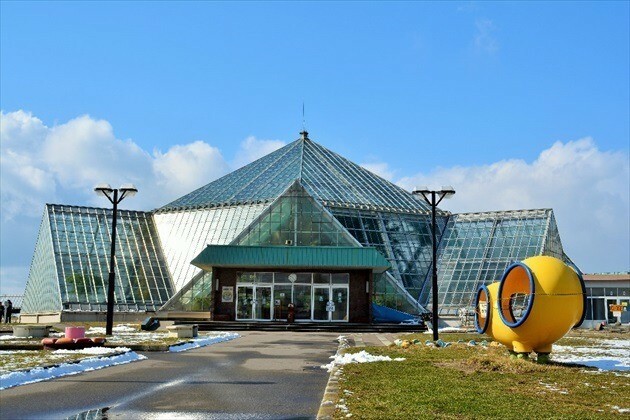 The Hakodate Tropical Botanical Gardens are located right next to the ocean. Seasonal flowers are not only blooming inside the green house, but also in the flower beds found at the garden at the entrance, which has also doubles as a neat little resting place for visitors. 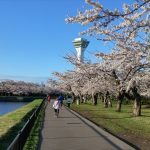 When the whether gets nice, you can see couples taking leisurely walks as well as families having picnics with their bento boxes. Since the gardens are a natural water source, you can enjoy the foot baths all-year round! 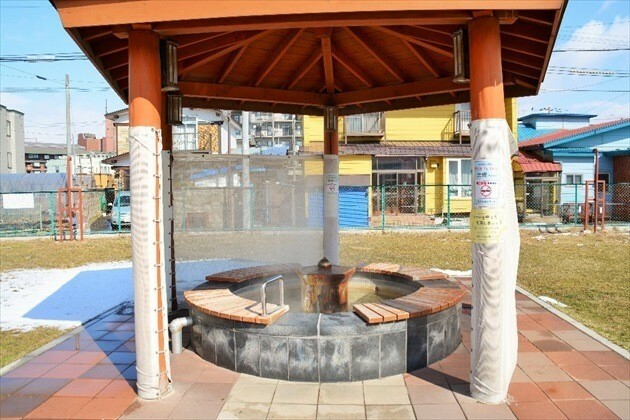 As you relax and enjoy the hot spring, you can enjoy looking at all the flowers. 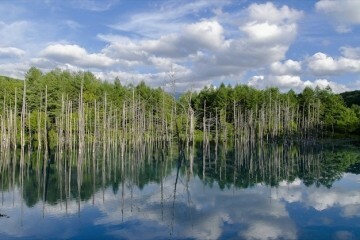 The temperature is not too hot, so you can relax and enjoy. 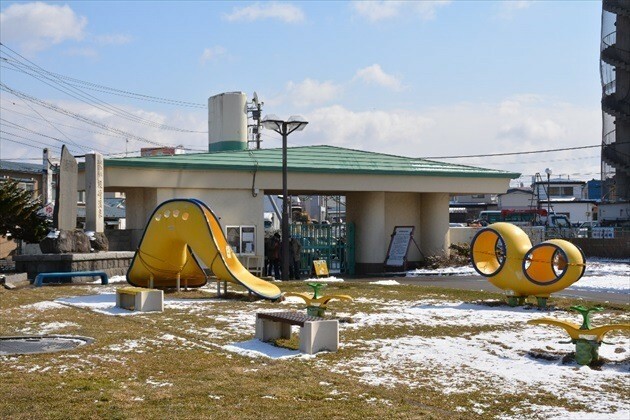 There is even a playground right in front of the foot baths. Parents can enjoy the foot bath as they keep an eye on their children playing. 2. 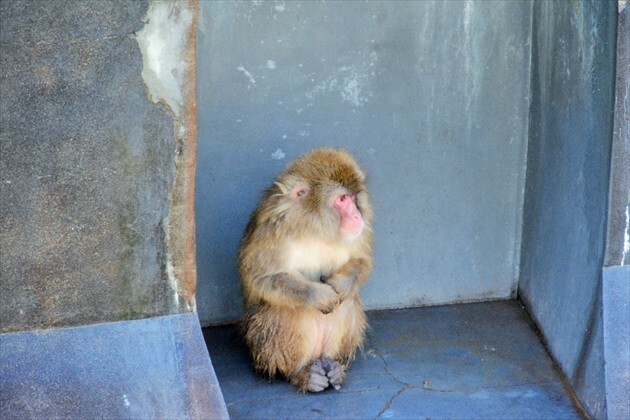 How to make the most of “Monkey Mountain”, the botanical gardens mot popular attraction. 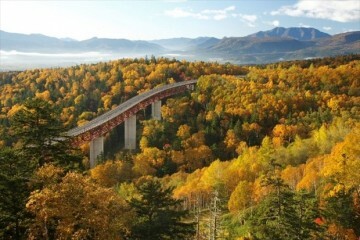 If you visit the gardens, the “Monkey Mountain” on the left side of the park is a must see. 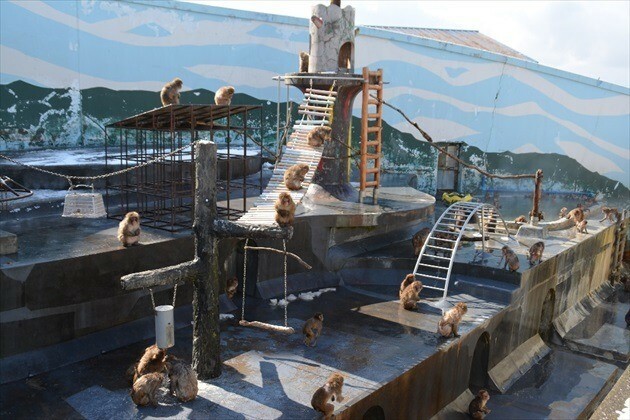 There you will encounter Japanese macaques. They stand 50-70cm tall and mainly live in groups. They are very intelligent and seem to think before they act. 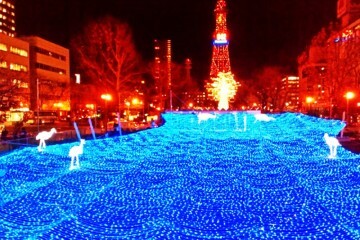 Many people watch them in amazement since their movements and gestures are so human-like. Isn’t this monkey so cute! Look what he’s doing! You will hear all the people around you saying how cute they are. One of the ways you can have fun watching these little guys is trying to figuring out each of their personalities. 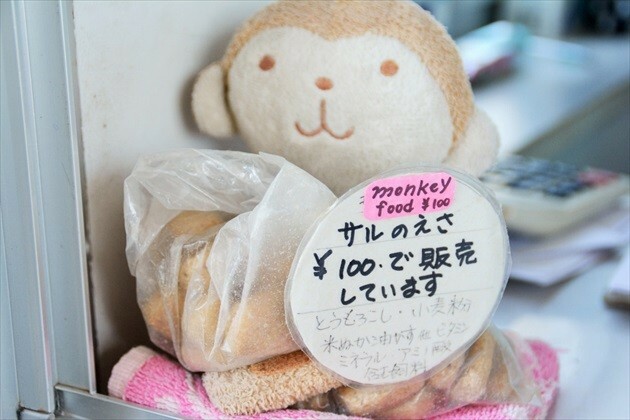 Each monkey seams to have a personality. Some are shy, others are more active, and some really like to eat! As you watch their behavior, you’ll gradually discover each one of their different personalities. If you want to grab their attention, I recommend giving them some food. Always feed them with the food sold in the gardens specifically for the monkeys. 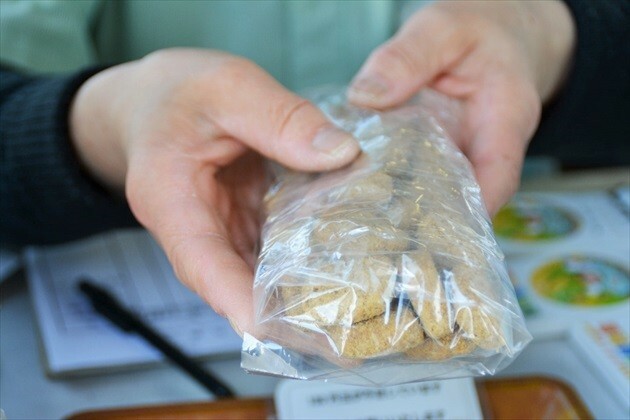 The staff has prepared food for them that include stuff like corn, wheat flour, rice bran, and oil cakes with vitamins and minerals. You get a lot of food in a single bag, so I thinks its probably enough for a group to buy a single bag and everyone to take turns feeding the monkeys. 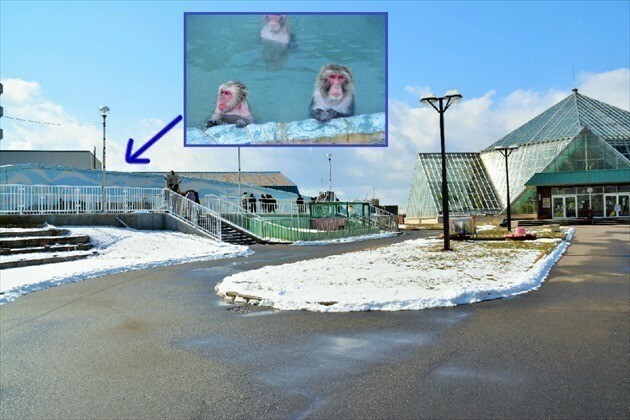 *Please try and keep the park clean by throwing the food directly toward the monkey mountain and avoid getting any food in the hot spring. 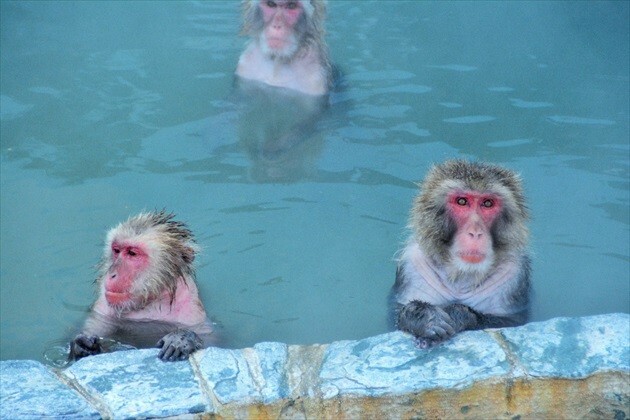 Here’s a picture of the hot spring at the “Monkey Mountain”! The soaking area is quite large. 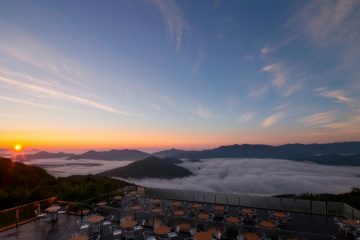 You can usually see them entering the hot spring from early December through May during Golden Week in Japan. 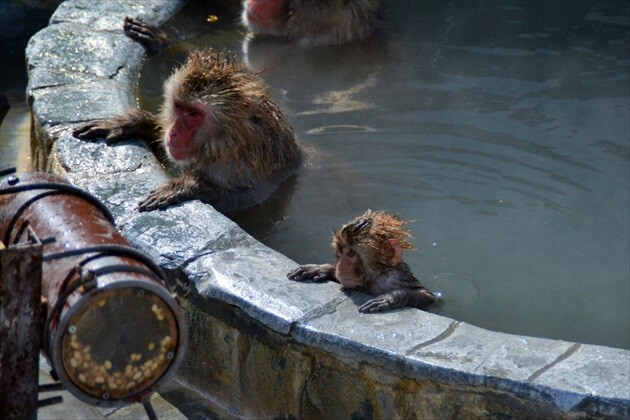 Are you wondering why the monkeys use the hot spring? I’ll give you a hint: they don’t do it to bathe themselves like people; they simply do it to warm up because it’s so cold. 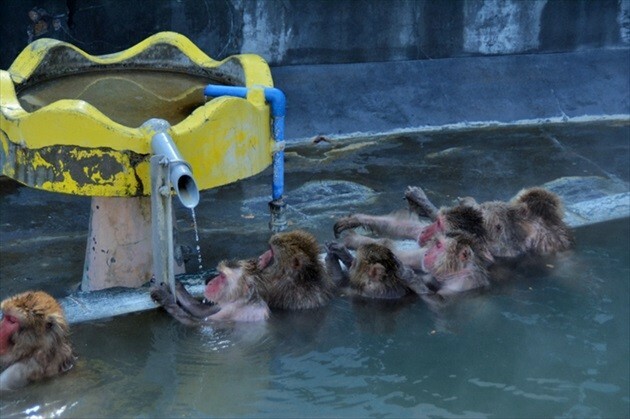 The monkey’s fur is very thick, so it hard for the water to permeate their skin. This also means they don’t catch cold after they leave the hot spring either. You’ll make some interesting discoveries as you watch the little guys. 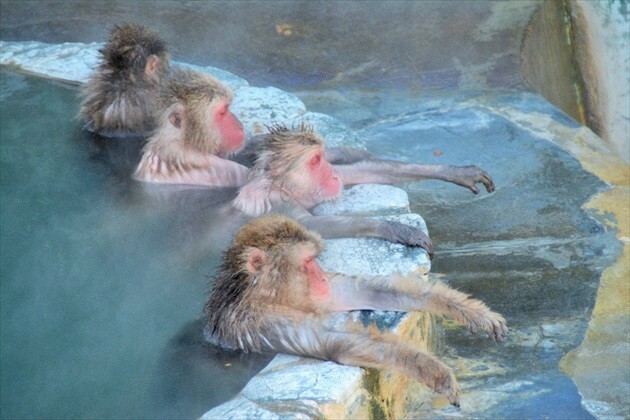 Some of the monkeys will pick their favorite spot in the hot spring to rest. Some will even come up and tap each others shoulders! Some of them check the temperature before they get in, and if it’s not just right they won’t go in. 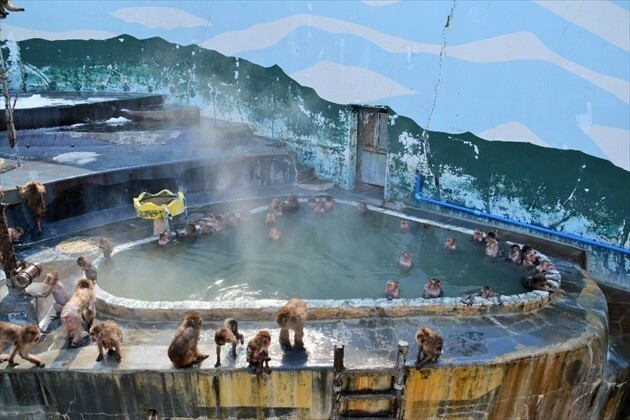 You can see each monkey’s personality come out by the way each one chooses to enjoy the hot spring. 3. Some highlights of the green house! 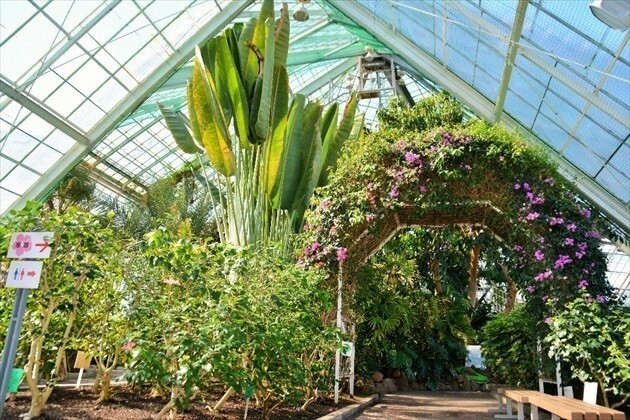 The green house inside the botanical gardens is a tropical paradise. What a difference compared to the frigid weather outside! 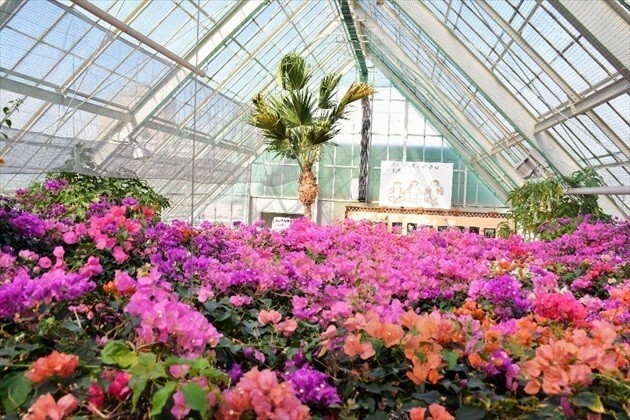 The green house is full of rare plants you can only find in Japan’s southern islands. Inside you will find Ice cream trees, chewing gum trees, bread trees and even sausage trees among others. There are approximately 300 different species and about 3,000 individual specimens on display. At the shallow steam corner on the way to the promenade, there is an aquarium stocked with Killifish and also lightning bug larvae! 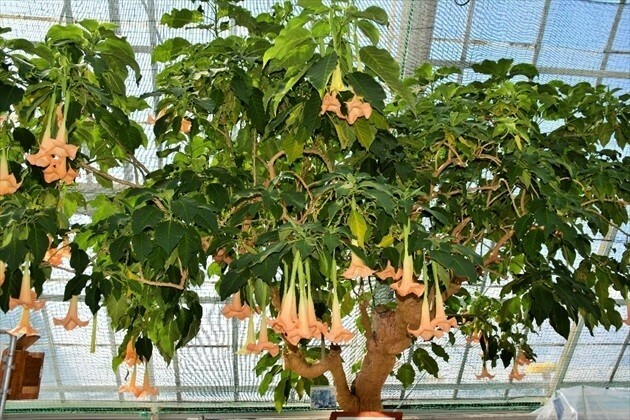 You can see these beautiful flower’s called Angel’s trumpets all year round. They come from Brazil and are in the Nightshade family. 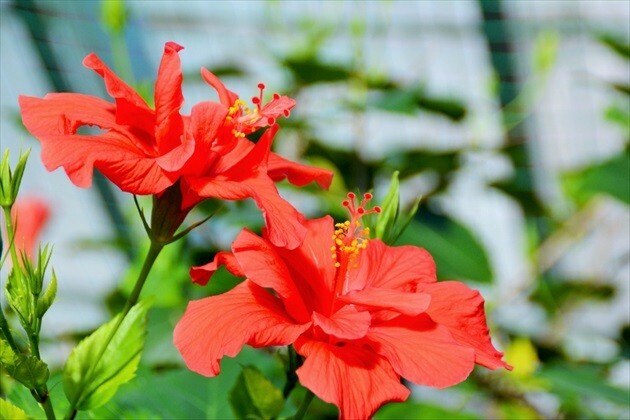 Hibiscus are also blooming beautifully under the care of the grounds keepers. Here is a picture of the Bougainvillea flower garden that blooms all year round. Aren’t they gorgeous! There is an observation deck at the center of the green house where you can view all the trees and plants from above. 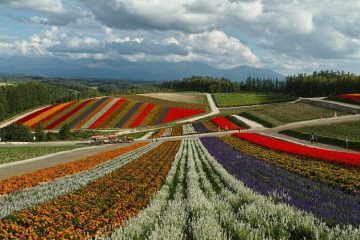 The view from above kind of feels like you’re looking at a carpet of flowers! 4. Must see! Try and check out the events too! 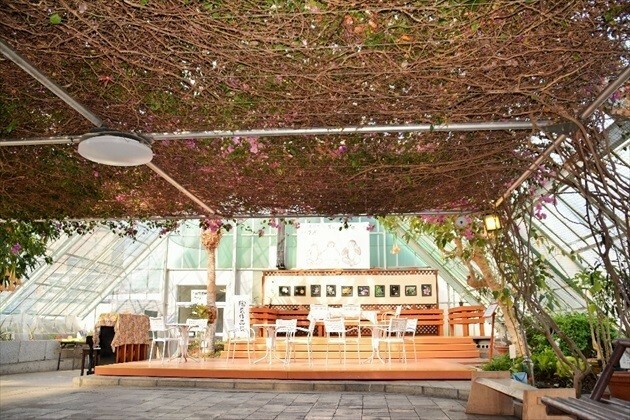 There are all kinds of events and unique experiences you can enjoy inside the green house every month. 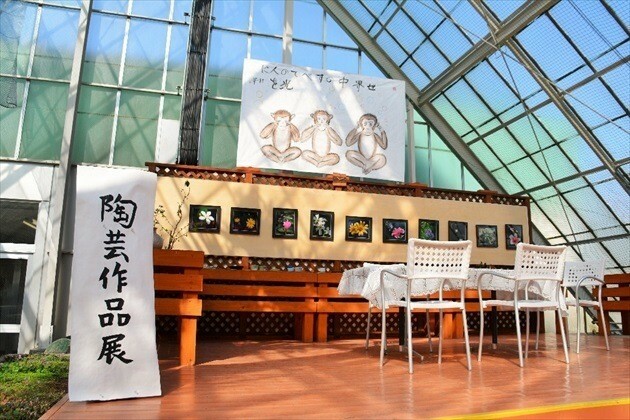 Some of the events include a photography expedition where you can invite a specialist to tell you about all of the plants and animals, unique experiences making ceramics, cultivating shiitake mushrooms, aroma and herb therapy etc. There are different events each month, so anyone interested should check in advance for info! *Some of the events cost money and may only be able to accept a limited number of participants. April through October 9:30A.M. to 6P.M. November through March 9:30A.M. to 4:30P.M. 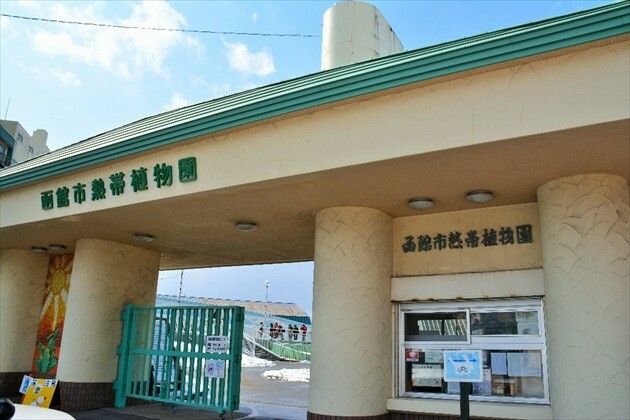 If you take the train: It takes 25 minutes to get to Yunokawa from Hakodate station. 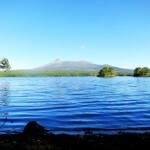 From Yunokawa station it’s a 15 minute walk to the Tropical Botanical Gardens. 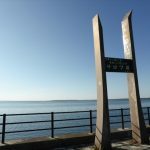 If you take the bus: The bus from Hakodate station will stop right in front of the Tropical Botanical Garden (20 minute bus trip). 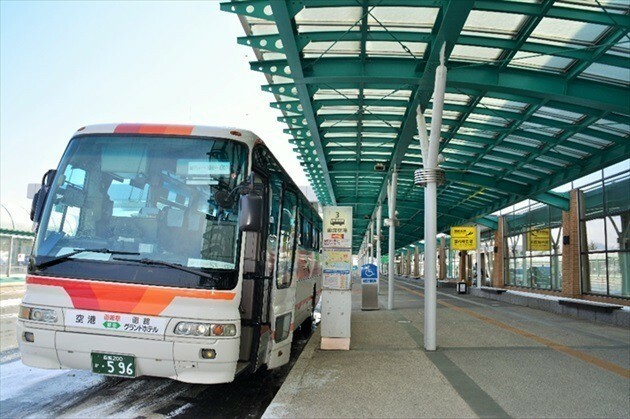 Coming directly from Hakodate Airport: You can take the shuttle bus (Hakodate Teisan) to Yunokawa hot spring (just an 8 minute bus trip). 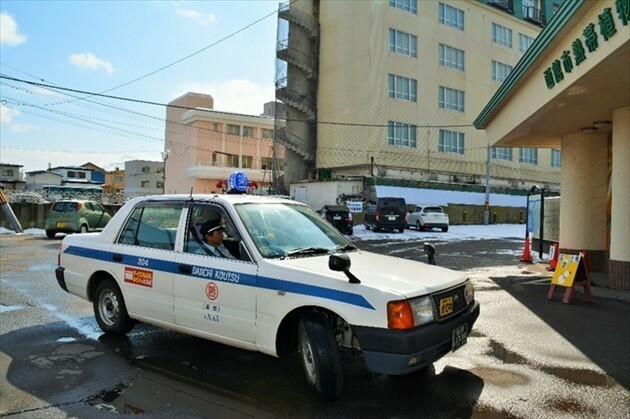 Taxi: A taxi from Hakodate station to the hot spring takes just 15 minutes. There are always taxis waiting in front of the Tropical Botanical Gardens. The drivers will gladly take you where you need to go even if its a short distance away. 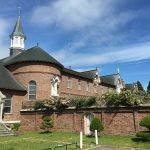 I recommend the Hakodate Tropical Botanical Gardens whether you want to go on a short walk or as a wonderful tourist attraction. 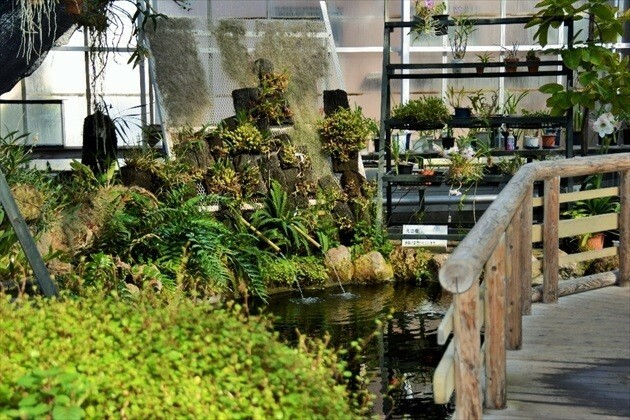 Whether you want to have a personal encounter with Japanese macaques, relax with a foot bath or enjoy the gorgeous tropical plants, there is something for everyone at the botanical gardens.